You may customize charts using the Chart | Properties context menu. 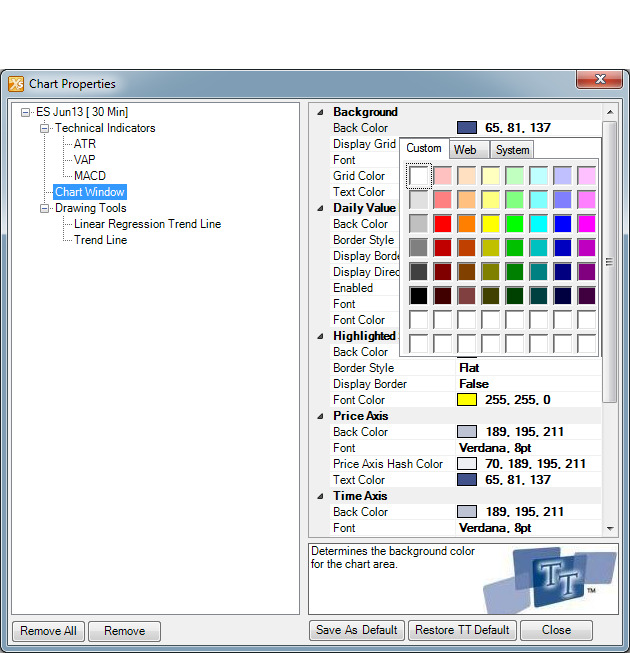 From the Chart Properties dialog box, you may select colors and fonts to customize the chart, Price Axis, Time Axis, and grid, as well as technical indicators and drawing tools. Chart properties are saved with your X_TRADER workspace.